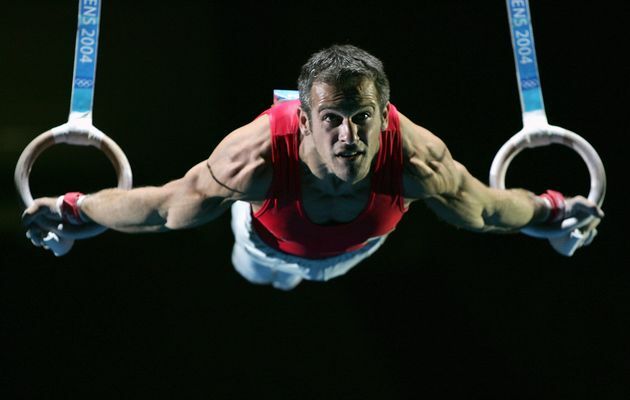 Ever wonder how those rings gymnasts build such incredible biceps? One word: maltese. That exercise is, without a doubt, the most powerful biceps builder on the planet. I know plenty of guys that have been doing curls, heavy rows and pull-ups for 10 years or more. However, most of them don’t have biceps development that turns heads. The reason is because the biceps also need to be intensely challenged while stretched. This is where the maltese comes in. When gymnasts spend years building up the position shown in the pic above, they’re challenging the biceps to fire when the elbow joint is hyperextended. And when you combine that with the intense anterior deltoid activation, you create a unique stimulus to the biceps that it rarely encounters with traditional resistance exercises. Now, one logical solution would be to perform an incline dumbbell curl since it fully stretches the biceps when the incline is low enough. But that exercise can create more problems than it solves: namely, bicipital tendonitis that’s felt in the anterior shoulder. First, start slowly and don’t push beyond your capabilities! Start with the hips high, hands at the 4 and 8 o’clock positions. Shift into the furthest forward position your strength allows and hold there. Keep the elbow joint hyperextended throughout, especially at the end position. Keep the chin tucked throughout the movement. Perform 5 sets of a 5-second hold with 2 minutes rest between each set. Start with two sessions per week in addition to your current biceps training. The biceps planche exercise is a great way to challenge the biceps to fire with the elbow hyperextended. In addition, you’ll build strength in the anterior shoulder and abs so it becomes much more than just a biceps exercise. Once you master the biceps planche it’s time to move on to the next progression that’s included in my latest muscle-building system HFT2. You write: “Perform 5 sets of a 5-second hold with 2 minutes rest between each set”, but how many reps? CW: No reps Paul. It’s a static hold for 5 seconds. That’s one set.